Nothing reminds you more of coastal charm than the sandy shades of this brown, brown beige slate shell glass backsplash tile. Slate tiles add just the right pop of dark color to contrast the deep ambers of glass squares. The shells really shine with their unique coloring and sparkling appearance for a treasure trove nestled into this otherwise simple pattern. 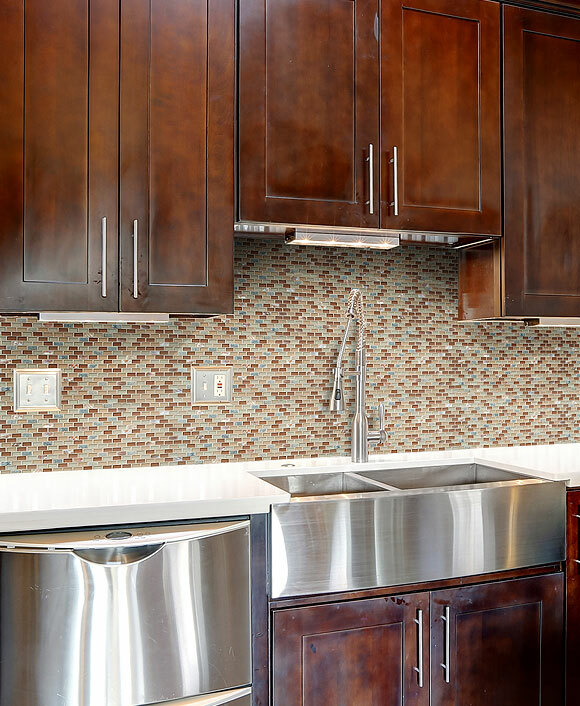 This beachy brown, beige glass and slate shell mosaic tile will bring a little contemporary charm to your coastal design.